Officer Dakota Hernandez (sitting) stays alert even in the routine (also pictured are Corrigan Police Chief, Darrell Gibson (background) and Canine Officer, James Hight). Police Officer Makes Drug Bust in Routine Traffic Stop, CORRIGAN, April 16, 2014 - During the evening of April 15, 2014, Officer Dakota Hernandez with the Corrigan Police Department made a routine traffic stop on a vehcile for a broken tail light. When Officer Hernandez spoke with the driver, Billy J. Williams, 31, of Louisville, Kentucky, he could smell a strong scent of marijuana coming from the tan 2001 Chevy pickup. Hernandez initiated a roadside interview with Williams. During the interview, Billy Williams admitted to having marijuana in his pickup. Hernandez was quickly joined by Officers James Hight and Canine Officer, Leigh. Leigh did a walk around and sounded the alarm. The officers conducted a vehicle search and located 22 lbs. of marijuana in the back of the cab interior. Williams stated that he had purchased the marijuana in Houston and was delivering it to an anonymous address in his home state of Kentucky. 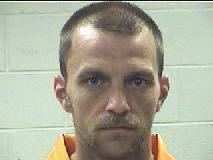 Billy J. Williams was placed under arrest and charged with felony delivery of marijuana. Williams' vehicle was towed by Clifton Chevrolet and will be stored in Corrigan. Hernandez found 22 lbs. of marijuana in a pickup during a routine traffic stop. Williams' truck was towed by Clifton Chevrolet. Corrigan Police Chief, Darrell Gibson is proud of his men (pictured with Gibson are, Dakota Hernandez, James Hight, and Lenneth Gardner).